The Rotterdam Convention is based on information exchange on hazardous chemicals and pesticides. This includes informing on any bans or restrictions taken by Parties on a national basis through a final regulatory action. Evaluating for example the risk of pesticides and taking an informed decision can be quite challenging for some countries for many reasons such as availability of data, resources and others. 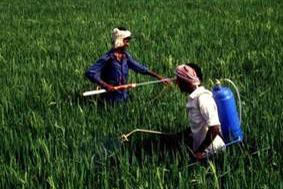 The Food and Agriculture Organization of the United Nations (FAO) has developed a Pesticide Registration Toolkit, which can be used as a decision support system. It provides for example links to many pesticide-specific information sources such as registrations in various countries, scientific reviews, hazard classifications, pesticide properties among others. It further provides guidance on assessment methods and an inventory of risk mitigation measures. All of this can be of great value for Designated National Authorities to evaluate the risk and take a decision whether to ban or severely restrict the use of a pesticide, to decide on future import of an Annex III pesticide, or to collect evidence on a potential severely hazardous pesticide formulation (SHPF). Hosted on FAO’s website, a link has been made available here to offer this support also to the Parties of the Rotterdam Convention.